New year resolutions are daunting. Should we dare to make a resolution or should we stand by our resolution not to make a resolution? It took me a while to realize the difference between making a resolution and making a decision. A resolution is our personal thought process about how or what what we would like to change. A decision is making a specific choice to do something like going back to school or making a doctor’s appointment on a specific date and time. This is a cut and dry decision as opposed to a resolution which is actually a thought about making a change. No wonder resolutions are difficult to keep. If making a resolution is something you would like to do it can be easier to keep if it’s written down and it is something that you know you can handle. By breaking it down weekly or monthly, and making it flexible for modifications it will be more realistic to make it successful. Be Specific — make your resolution as specific as possible. For example, we all want to be healthy, lose weight, exercise, but these statements and thoughts are way too broad and vague. By making more specific goals you can make this type of resolution successful. Decide how you could accomplish this — make 1 healthy meal a week; if you love fast food but know you should stay away from it then schedule to have it once a week at first and then make it only once every 2 weeks, etc; or add an extra vegetable to your family meals each week. Exercising is ARRRRGGHHHH! difficult to do. We all make excuses as to why we didn’t get to it. No problem. When you are out park your car further away from your destination and walk; whenever you can take the stairs instead of the elevator. These little changes make a difference. Make your goals easy for you to accomplish. You will be more successful. Be Realistic — when you list your resolution. If you want to lose weight it’s not realistic to cut out the foods you enjoy all at once, go on a crash diet, or decide to go to the gym every other day. Start slowly the first month or two and as you begin to see how successful you are then continue to make a few more changes with each month. Less Is More, More or Less — Don’t beat yourself up if one week your schedule is so hectic that you can’t control your routine. It’s OK. These things happen and you just have to move on and continue with your routine when possible. Give yourself some slack and try to start out with the premise that Less is More. Happy New Year! Live one day at a time; the past is over so don’t look back. Live in the present and enjoy each day. Look forward to a future you will make worth remembering. What a great way to think about this! My “resolution” is to try and open my kids’ palette up just a tiny bit so we can venture away from pasta every single night. I’m making my son try one non-pasta thing a week. Last week it was saffron rice (big NO), this week it was couscous with garlic and olive oil (another one bit the dust). But I figure the more he tries, the more we might find something that actually works! Hi Velva, Thank you so much for following me, reading my posts, and commenting. Your one word resolution can be a great motivator and lead you to many successes. A wonderful mantra for a fabulous 2012. This year, I kept my New Year resolution to one word….”Simplify” I don’t know exactly what that means for me but, any improvement will be deemed a success. Happy New Year to you. 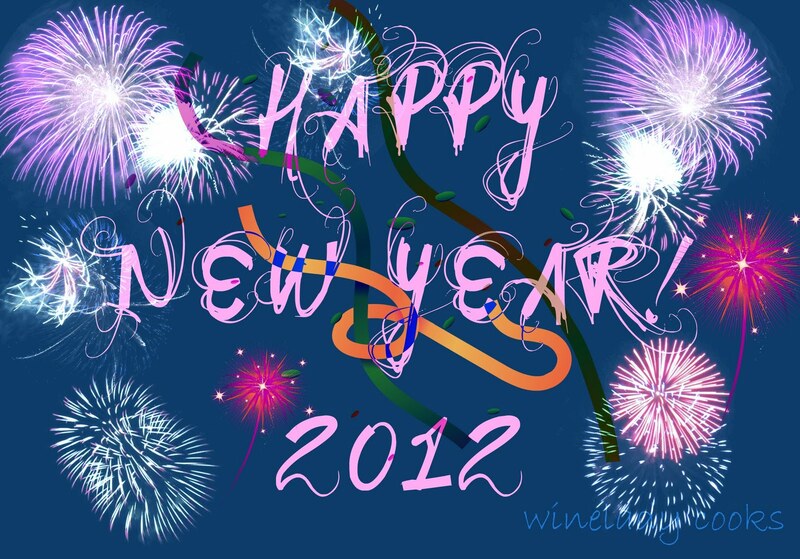 May your 2012 rock.